"Thank God I didn't think twice." 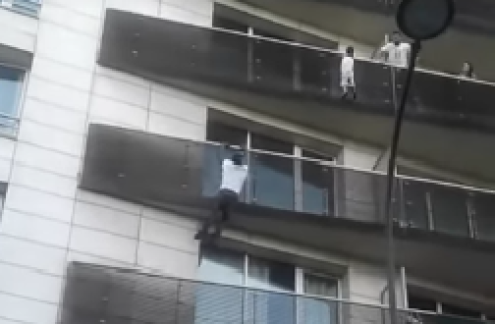 Malian migrant Mamoudou Gassama speaking on the fact that he has been hailed as a hero for scaling a Paris apartment building to save a young boy dangling perilously from a fourth-floor balcony. 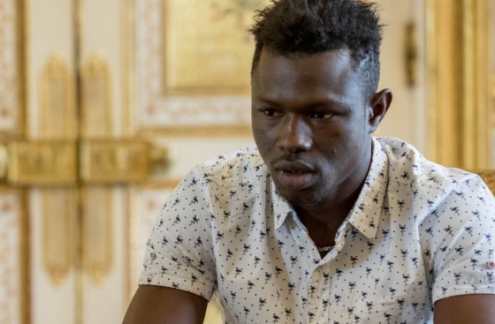 Mamoudou Gassama has been given temporary residency papers and offered a job as a firefighter in Paris. A screenshot from the video showing Gassama climbing up a building to rescue a child. On meeting with Gassama, French President Emmanuel Macron said: "With Mr. Gassama who saved the life of a child in climbing 4 stories with his bare hands on Saturday. I told him that in recognition of this heroic act he was going to be regulated as soon as possible and that the fire brigade of Paris was ready to welcome him. I also invited him to apply for naturalization." Did This UK-Based Company Try to Steal Kenya's National Anthem? Will Global Compact Address Migration Challenges? Migrant Deaths to Rise as Mediterranean Rescue Mission Ends? Any Weight to UK Warnings of Terror Attacks in South Africa? Kylian Mbappe The Greatest Talent in Football Since Pele?